Boutique of Quality Books, 9781608081950, 100pp. 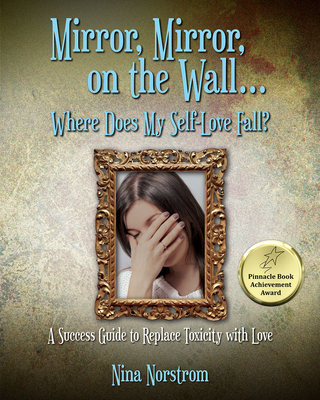 Readers of The Self-Esteem Workbook by Glenn R. Schiraldi, PHD and The Self-Compassion Skill Workbook by Tim Desmond will like Mirror, Mirror on the Wall. Nina Norstrom is the author of Not A Blueprint, It's the Shoe Prints that Matter: A Journey Through Toxic Relationships. She is a requested speaker on the topic of toxic relationships and the havoc they create. She lives in the Atlanta, Georgia area.